Adobe announced pricing increases for its Creative Cloud programs and packages. In response, artists shared their favorite alternative programs which have either no, low, or single-purchase pricing. Twitter initially changed their image upload policy to no longer allow PNGs, but after hearing feedback, they updated their image upload policies from February 11 onward. Check this thread and its linked articles for more information. The Laydeez Do Comics Award is accepting applications from UK-based women (cis or trans) with a graphic novel work in progress. First prize will receive £2,000, and 5 shortlisted entries will receive £200. One of the shortlisted prizes will be awarded to a creator over 50. The deadline for digital zines is today, January 11, 2019, and the deadline for physical zines is January 20, 2019. The This is Horror Awards are accepting nominations until January 14. The Excellence in Graphic Literature Award is accepting submissions of books published in 2018 through February 15, 2019. The Prism Awards are accepting submissions of queer comics published in 2018 through February 15. The Eisner Awards are now accepting submissions through March 15. Publishers may submit a maximum of five nominees for any one category, and the same item or person can be submitted in more than one category. Individual creators can also submit. The Hugo Awards are accepting nominations from WorldCon members until March 15. Renay made this handy spreadsheet so that members can more easily find your sci-fi/fantasy or SF/F-adjacent work and nominate it for voting. Creators from around the world can add themselves to the spreadsheet and are encouraged to do so for the best visibility. Nilah Magruder also explained the Hugos further in this thread! The DiNKy Awards are accepting submissions for their 2019 show. Artist Michi is currently raising funds on Kickstarter to produce Eat the Bigots Wolf Enamel Pins. Funding will allow for the production of another run of the Eat the Bigot pins, as well development of the new (K)Night Wolf pin and additional merchandise. Tier options include enamel pins, collar pins, iron-on patches, tote bags, stickers, and postcards. The Kickstarter ends on January 18. When Angels Visit Armadillo is currently raising funds on IndieGogo to pay its contributors, team members, and talent. WAVA is a narrative podcast told through interview recordings and phone calls that tells the story of Magnolia “Maggie” Waters, an unapologetic southern lesbian woman who claims that aliens visited the town in the late 80s. Tier options include postcards, prints, phone wallpapers, the original soundtrack, enamel pins, ad spots, and sponsorships. The campaign ends January 21. Chromatic Press is currently raising funds on Kickstarter to produce the paperback edition of their most popular ebook Before You Go. The charming LGBT+ romance follows Sadie and Robin as their relationship develops from friendship on a commuter train to long-term romantic relationship. Tier options include the Before You Go ebook, the paperback, keychains, stickers, a pencil case, a signed bookplate, a Sparkler membership, and more. The Kickstarter ends on January 25. The Indigenous Comics Collections Volume 3 is currently raising funds on Kickstarter for its production. Written and illustrated exclusively by indigenous people, the third volume of MOONSHOT will feature 15 stories based around the theme of Indigenous Futurisms. Tier options include digital or physical copies of the book, digital or physical copies of the previous volumes, bookmarks, and prints. The Kickstarter ends on January 30. Jenn Arledge is currently raising funds on Kickstarter to produce Alex Priest: Vampire Hunter Issue #4. Alex Priest is a 5-issue series that follows ex-partners Alex Priest and Janelle Garcia, who must work together to stave off a magical, vampiric, and demonic apocalypse. As a project under Kickstarter’s make/100 initiative, Jenn is producing an exclusive print for the first 100 backers. Tier options include digital and physical copies of this and previous issues, trading cards, sketch cover commissions, and more. The Kickstarter ends on January 31. Kaitlin Wadley is currently raising funds on Kickstarter to fund the production of the Fantome Anthology. Over 20 artists and writers were asked to create a response to the question, “What is a ghost?” resulting in over 120 pages of original content. Tier options include digital and physical copies of the book, a sticker, a patch, a canvas tote back, a t-shirt, and an original fragrance. The Kickstarter ends on February 1. Hey, Art Friends is again accepting applications to their Spare Change Program. Black, PoC, and LGBTQ+ artists can apply until January 25 to have up to $35 (each) of their application fees for art-related submissions covered. Stamp prices in the US will be increasing from $0.50 each to $0.55 each on January 27. Rates for flat rate packages will also increase. (Greenwich, CT) Blue Sky Studios is seeking a temporary animator and a Storyboard Artist. They’re also seeking summer interns in animation, character, character simulation, crowds, effects, lighting/compositing, story, and more. (London, UK) Blue-Zoo Animation is seeking a 2D Background Painter, a 2D Environment Designer, a 2D Layout Artist, CG Modelers and Texture Artists, Lighting TD/Compositor, a Maya Character Animator, a Prop Designer, a Rigger, a Storyboard Artist, Toon Boom Breakdown Artists, a Toon Boom Harmony Animator, and Toon Boom Rigging Artists. (Kilkenny, Ireland) Cartoon Saloon is looking for a lead background final line artist, a line producer, and a production manager. (Vancouver, BC) DHX has job openings for a 2D AFX Artist, a 2D BG Layout and Color Artist, a 2D BG Builds Supervisor, a 2D FX Artist, a 2D Harmony Animator, 2D Storyboard Artist, Storyboard Revisionists, a 3D Designer, a Harmony Animation Supervisor, and more. DICE LA is seeking a Lead Character Artist, a Gameplay Design Lead, a Graphics Engineer, and more. (Glendale, CA) Dreamworks is hiring an Assistant Animatic Editor, a CFX Artist, a Character Designer, a Design Supervisor, an Effects Artist, a Feature Technical Director, a Feature Production Coordinator, a Lead Effects Artist, a Matte Painter, a Supervising Director, a Surfacer, a Visual Development Artist, and more. They’re also offering temp positions in the following roles: Character Modeler; Character TD; and Lighter/Compositor. (Playa Vista, CA) FoxNext Games is hiring a Concept Artist. (Burbank, CA) Nickelodeon is hiring an Asset Production Coordinator, Character Technical Director/Rigger, CG Animation Director, Character Designer, a CG Generalist, and a Storyboard Artist. Titmouse is looking for a Character Designer, an Episodic Director, a Production Coordinator, a Storyboard Artist, and artist, production, and post-production interns in Los Angeles, CA. They’re also seeking a 2D animator, a background layout artist, a background painter, compositors, a line producer, and a prop designer in Vancouver, Canada. (Burbank, CA) Walt Disney Animation Studios is hiring a character TD, an effects artist, environment designer, lighting artists, look development artists, and a story artist. They’re also seeking interns in CG Art, Story Art, and Visual Development Art. Comics Beat is doing a daily feature of free comics in 2019. Light Grey Art Lab has an open call for artists for their upcoming “INNUENDO” exhibition. January 12 is the last day to add your name to the list. Threadless is accepting artwork for the following design challenges: Living Coral, due January 25. The Kodansha Sirius & Light Novel Editorial Department Manga Award is accepting submissions from artists through January 16. 5 winners will receive 100,000 yen, have an editor assigned to them, and will debut as an artist drawing either original manga or a manga adaptation of a light novel. Submissions in English, Japanese, Korean, and Traditional Chinese are welcome. Name and None is accepting comic submissions from non-cis contributors through January 20. Autostraddle is seeking submissions of comics, essays, journalism, humor, or similar content with the theme “birthday” by January 22. Lilies Anthology is accepting submissions to their 7th volume “Lily Bulb” through January 22. The theme of the anthology will be the environment and should represent female/lesbian romance, relationships, and/or sexuality. Hellcat Press is accepting pitches from women (cis and trans) for their horror comics anthology through February 1. Emerging UK writers and cartoonists are invited to apply for the Spread the Word Life Writing Prize with previously unpublished, “intended to be true” works through until February 1. Adobe is accepting applications for 2019 Creative Residents until February 7. Iron Circus Comics will begin accepting pitches for upcoming death-positive anthology “You Died” on February 1, to remain open until February 28. Little Heroes is accepting submissions of comics involving “science” through February 28. The anthology will be for charity and creators will not be compensated. The Silent Manga Audition is now accepting entries for its 11th competition through March 31. Submit text-free comics of 31 pages or less with the theme “Promise” for a chance to win cash prizes, professional feedback, and editorial support. Jane Titor is seeking a background artist for a visual novel project. Con or Bust has free tickets available for people of color for a number of upcoming conventions, including the Nebula Conference, CrossingsCon, and more. They’re currently seeking another board member and are accepting statements of interest until January 25. The Comic-Con and WonderCon Anaheim press application period is now open. Applications will be accepted until today, January 11. Comic-Con is also now accepting submissions to its 50th Anniversary Souvenir Book through February 1, 2019. After exhibitors expressed concerns about Flame Con’s table policy, Flame Con’s (August 17-18) table lottery will accept applications starting January 14 at 1PM EST. LA Zine Fest is accepting applications through January 16. They’re offering a sliding scale for table costs. The 2019 Graphic Medicine Conference is seeking presentation proposals on “queer graphic medicine” through January 31. Klutz is seeking a Designer in Palo Alto, CA. (New York, NY) Little, Brown Books is seeking a Marketing Graphic Designer. The Catradora Zine is accepting applications from writers and artists until January 21. Proceeds beyond production costs will be donated to the Joyful Heart Foundation. Become: A Trollhunters Charity Fanbook is accepting applications from artists through February 4. Looking for more fan zines to submit to? Check out this spreadsheet created by magicalzombie for more! Have a finished zine project you want to advertise? Check out Zine RTer! Lambda Literary’s Writers Retreat for Emerging LGBTQ Voices is accepting applications. Applications cost $25. The Judith A. Markowitz Award is accepting submissions from LGBTQ-identifying early-career or emergent writers with no more than one book published until February 15. The Queer Press Grant is currently accepting submissions through March 1. The Spare Change Grant Program offers grants each month to a person of color and/or gender minority to be used for covering application costs for residencies and calls for submissions. Apply by the 25th of each month for a chance at the award. The Vlogbrothers are offering sponsorships to creators of educational video content. The Design Department of the Minneapolis College of Art and Design is seeking full-time faculty for Comic Art. The Driftless Unsolicited Novella Contest 2019 is accepting submissions through January 23. The two winning novellas will receive a $250.00 prize, publication contract with royalties, publication in print and ebook, and international distribution. Augur Magazine is accepting submissions through January 31. Fiyah Lit Mag is seeking submissions on the topic of hair through January 31. Foreshadow YA is seeking submissions of original YA short stories through February 1. Carina Press is seeking proposals for contemporary romances for the 2019 holiday season until February 27. Writers only need to submit 7,500 words of completed manuscript at minimum; more can be completed after acceptance. Carina Press is also seeking other proposals for Carina Adores, detailed further below. Lethe Press is seeking short story submissions for Transcendent 4: The Year’s Best Transgender Speculative Fiction until February 15. Cleis Press is seeking submissions for Best Women’s Erotica of the Year, Volume 6 from authors who are “women, gender nonconforming, genderqueer and/or nonbinary” until June 1. Submissions will be accepted on a rolling basis. Selected writers will receive $225 and 2 copies of the printed book. (Chicago, IL) The American Library Association is seeking an Editor/Publisher for Booklist Publications. (Cambridge, MA) Barefoot Books is seeking an Assistant Editor for Children’s Books. Carina Press has an ongoing open call for male/male romantic suspense and a new call for Carina Adores, a new trope-driven LGBTQ+ contemporary romance line. Find out what the editors want to read here! (San Francisco, CA) The Entertainment Publishing Group at Chronicle Books is seeking a Senior Editor. Clarksworld Magazine is looking for fiction and nonfiction contributors and pays up to $0.10 per word. Comics MNT is seeking writers open to taking assignments and writers with interesting pitches for articles about comics. (New York, NY) The Experiment is seeking an Editor or Senior Editor for mainly nonfiction books. (New York, NY) Harlequin is hiring an Editorial Assistant. Interlude Press is seeking LGBTQ+ YA fiction of 7,500-15,000 words, longer LGBTQ+ young adult fiction, and adult fiction. (New York, NY) Knopf Books for Young Readers is seeking an Editorial Assistant. 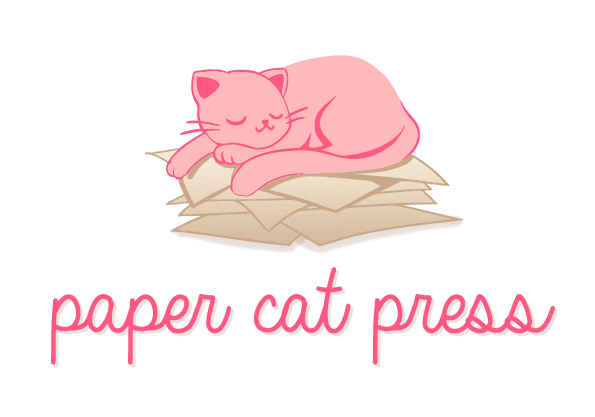 Ninestar Press is seeking LGBTQA+ romance, paranormal, sci-fi, fantasy, and horror fiction. (Salem, MA) Page Street Publishing is seeking an Editorial Intern. (New York, NY) Penguin Random House is seeking an Editor or Senior Editor to acquire and edit books for the Razorbill imprint in their Penguin Young Readers Group. (Somerville, MA) Candlewick Press is seeking interns in Design, Editorial, Graphic Production, Marketing, Production and Manufacturing, Publishing Technologies, and Sales. Latinx in Publishing is seeking a paid marketing and publishing intern for Spring/Summer. Titmouse is seeking winter/spring and summer 2019 interns in Los Angeles, CA for Artist, Production, and Post-Production/Editorial positions. They’re also seeking winter/spring 2019 interns in New York. Amanda Duarte shared tips and a walkthrough on how to integrate lineart into a painting. Arielle shared a list of online resources to help you learn new skills in the new year. Becca Hillburn of Nattosoup shared a Comic Artist Gift Guide and a list of Printers for Comic Artists. She also shared a list of Recommending Reading for Comic Artists. Be sure to check Becca’s Youtube channel for new video interviews with independent artists, walkthroughs with dip pen nibs, tutorials, and more. Byelacey shared a great thread of tips for artists on Twitter! Clip Studio Paint’s 2018 webinars can be found in this playlist. Have you checked out the Creator Advisor? Initialized and run by Stephanie Cooke, the project aims to connect artists, writers, editors, and anyone involved in making comics together for paid projects, with an aim to prioritize marginalized creators. Ethan M. Aldridge shared a thread on getting an agent. Isa shared an invoice and accounting managing tool for Google Sheets. kIDchan shared her tips for using the new Colorize tool in Clip Studio Paint. Mel Gillman shared a link to the Digital Transgender Archive, an important collection of history for the queer community! Nate Powell shared this breakdown of cartoonist income based on major publisher book deals. Ngozi Ukazu also shared an AMA from Mackenzi Lee on income vs. Expenses for published authors. These comments were in response to a recent study by the Authors Guild that showed that median pay for full-time writers is $20,300. Nilah Magruder created this awesome list of literary agents who represent illustrators. Niki Smith also has a list of agents who represent creators of graphic novels. Thank you Nilah and Niki! Pai shared a thread with tips on starting out with or improving artwork of backgrounds! I know this is something I struggle with a lot. Thanks, Pai! Additionally, all manga at Barnes & Noble is Buy 2, get 1 free through January 14. Book Riot has frequent book giveaways. Goodreads constantly offers giveaways for a variety of titles in all genres. Check out these giveaways for comics and graphic novels, like this one for Kid Gloves by Lucy Knisley and Nyankees by Atsushi Okada.